We are building a network of Lead and Associate NMAHP Research Champions throughout the MFT sites. A Lead NMAHP Research Champion will be appointed to each MFT site, taking a leadership role and supporting the senior management team in delivery of the MFT NMAHP Research Strategy. 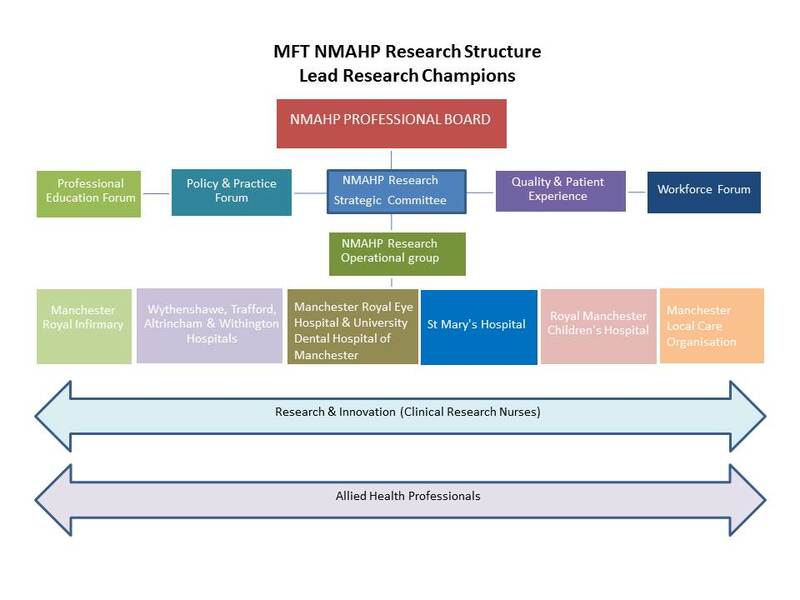 NMAHP Associate Research Champions will be appointed to each MFT site by Lead Research Champions, to support them in the delivery of the MFT NMAHP Research Strategy.